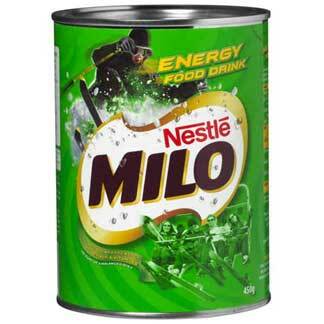 Milo: The local instant chocolate drink. It is actually from Australia but is immensely successful in Singapore. It’s quite sweet, and ideal for a snack at anytime of the day, be it hot or iced! A personal favourite. 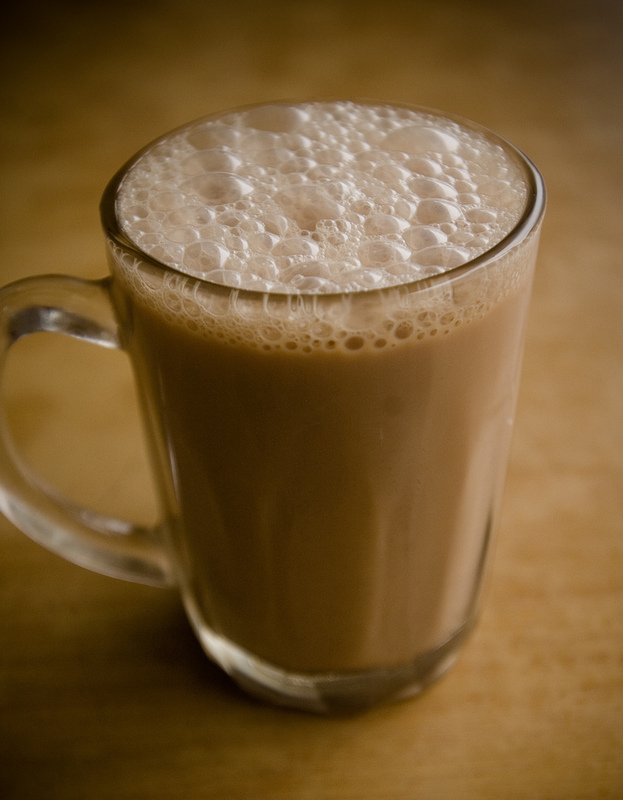 Teh Tarik: It’s a hot drink from Malaysia made of black tea and condensed milk, famous for being “pulled”. Check out this guy! The taste is quite bitter but you can add sugar. Definitely an interesting beverage to try when you’re in Singapore. Soya Bean Milk: Also called Soy Bean Juice, Soya Bean Milk is a drink made out of Soya beans (it has nothing to do with actual cow milk) that originally comes from China. It’s best if you can get it fresh from the market in Singapore, although it exists in canned version but it’s often very sweet. 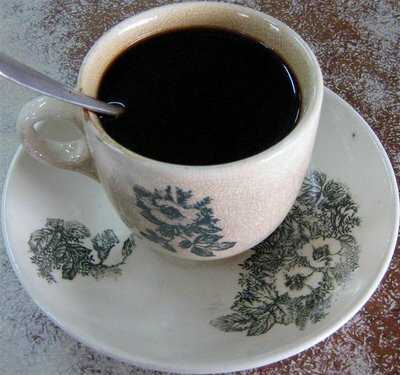 Kopi-O: That’s Singaporean for “black coffee with sugar” !! “Kopi” comes from “Coffee”, and “O” means a little sugar and no milk. Try not to get mixed up with Kopi-C (coffee with milk and sugar) or Kopi-O-Kosong (coffee with no milk and no sugar)! 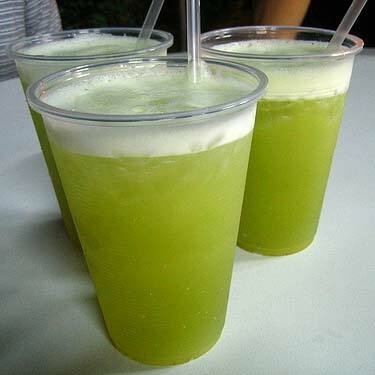 Sugarcane Juice: I bet you didn’t know such a juice existed. It’s actually very good and not as sweet as it sounds. Try it out in a food court where they can prepare it before your eyes by pressing sugarcane in a machine. To me, it’s an ideal cooling off drink. 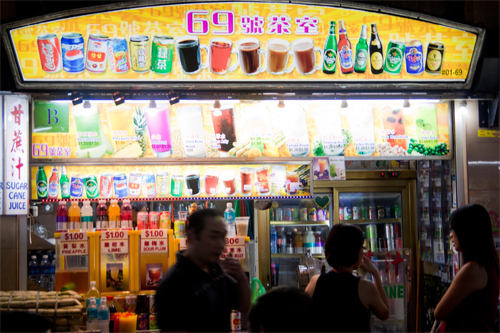 Singapore sling: Probably the most famous and iconic drink in Singapore. It was originally created in the Raffles Hotel’s Long Bar by a bar tender named Ngiam Tom Boon. It is made of Gin, Cherry Brandy, Cointreau, Benedictine, Grenadine, Pineapple Juice and Lemon Juice. Dee-licious. And even more so if you try it in the Long Bar in the Raffles Hotel to experience the only place in Singapore where you can throw Peanuts on the floor!! Simply a must. This entry was posted in Food and tagged drinks, food court, gastronomy by hiddensingapore. Bookmark the permalink. hey same here my favorites are Singapore sling and Tiger beer.